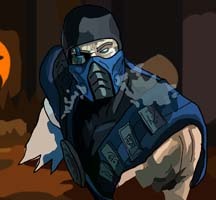 Sub Zero: Want some Ice? 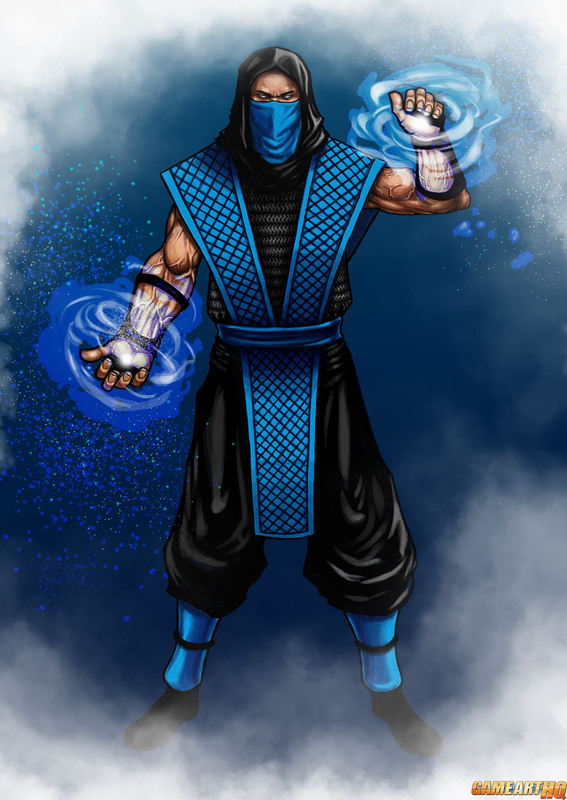 Sub Zero is the only Mortal Kombat character who appeared in all main series MK games and even got his own game MK Mythologies: Sub Zero. 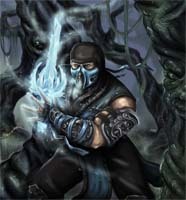 He is a Lin Kuei Ninja and a cyromancer which means he can use the element of Ice for Kombat. 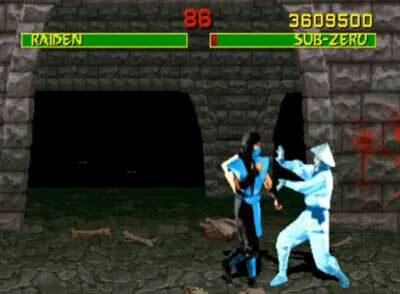 Back in the first Mortal Kombat his target was to assassinate Shang Tsung by one of Tsung’s wealthy enemies. 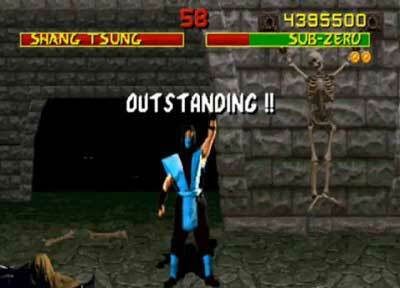 He did not care about the title of being the Grand Champion and just wanted to retire from his dangerous profession as Lin Kuei Ninja. 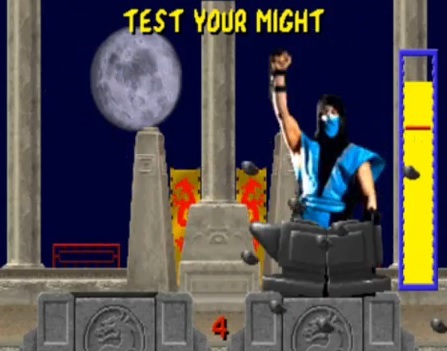 The different backstory about him killing the family of Scorpion, turning into Noob Saibot and serving Quan Chi was added years later. 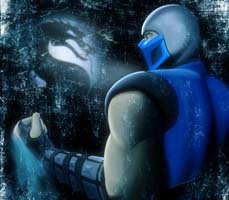 The illustration of the classic Sub Zero from Mortal Kombat (1992) was drawn by Kachakacha from Japan. 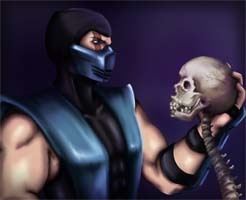 There is a small backstory about this submission which was previously meant to be in a 20th Anniversary of Mortal Kombat Tribute here on Game Art HQ.com in August 2012. Due to not many artists being interested in it this project was cancelled though and now the artworks are finding their way into this bigger Project. 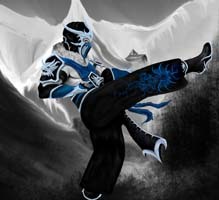 Click on the Sub Zero Portrait to enlarge it.